Since recording our CD in 2012, as The 4 Sons we worked hard to raise as much money as we could for our 3 chosen charities – raising a over £57,000 in 5 years from sales of our CD and live performances – 100% of all the proceeds and the performance fees were given to the charities. We were invited to perform at various simchas and community events in different configurations and continued doing so as The 4 Sons until 2018, by which time most of us had already started university (or gap years). We regrouped over the summer of 2018 relaunched as Kol Tov (since we had an established core group of more than 4!). Please visit our Kol Tov website or facebook page where you can find out more about us and follow our ongoing fundraising progress. Below you can see what George and Asher had to say about themselves at the time The 4 Sons started – as well as an overview of some of the other group members over the years. When Noam and Jamie left the group (although Noam came back at the start of Kol Tov), they made room for Rafi Levy, Gideon Kaplan, Gabriel Bor and Dov Forman to become integral members of The 4 Sons. The 4 Sons also sung, on occasions, with Tom Garcia, Ilan Galkoff, Jake Caplan and Shimon Hurst (who remains a feature of Kol Tov). To obtain a copy of The 4 Sons CD, please donate to our chosen charities and we’ll gladly send you a copy in the post. As The 4 Sons, people often asked us who the wicked one is, relating to the four sons at Passover, but to be honest, it is impossible to decide. Each one of us is so different in many ways, but yet it is incredible to see how music can bring us together and unite us. 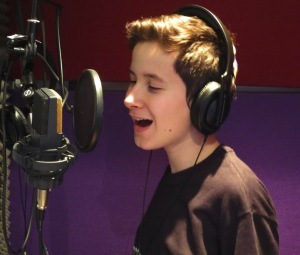 Music has always been a passion of mine and I have always seen music, especially singing, as the voice of the soul. It takes me to an entirely different place. The 4 Sons originally started when the Chazan turned to me one Shabbat and asked me if I would be able to gather six or seven boys to sing with us and the shul choir at my barmitzvah. I found this very challenging as I didn’t know many boys who sung and the ones that did didn’t want to commit. I found three! 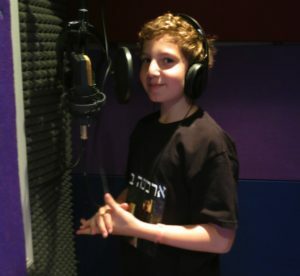 Noam, a close friend of mine from primary school, had always loved singing and jumped at the opportunity. Jamie, a friend of my brother’s, had sung Anim Zmirot in our shul a couple of years earlier when he’d been staying at our home over Shabbat and we remembered that he’d had a great voice – he too was up for it straight away. Asher, who I’d met a few months earlier on holiday, was more of an issue. I thought he had potential when I heard him leyn at his barmitzvah but he doubted himself. I think that just looking at how he has learnt to do something he never thought he would to a very high standard is a brilliant story. I was talent spotted by George at my own Barmitzvah in October 2011! I didn’t really know I was any good at singing but he said I was! I sang in my primary school choir but so did anyone who wanted to so I’m not sure that’s a claim to fame. It’s been challenging at times, particularly as my voice broke midway through our recording sessions and I’m now an octave deeper than I was a few months ago! Singing together has been an incredibly exciting experience and I feel we’re on a great journey – I’m looking forward to our next stop. 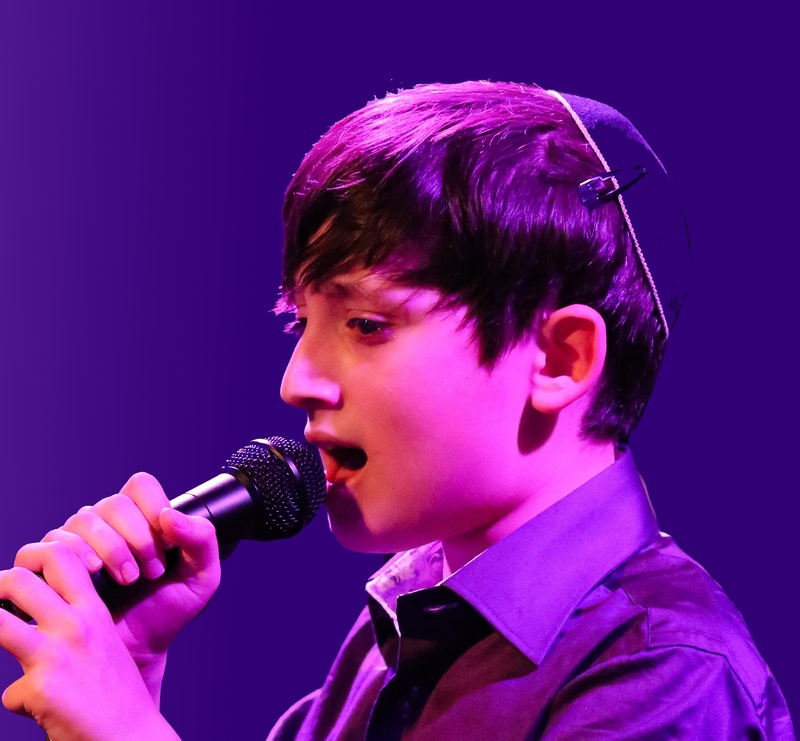 After seeing my brother Asher perform, I decided I wanted to sing with them at my barmitzvah. 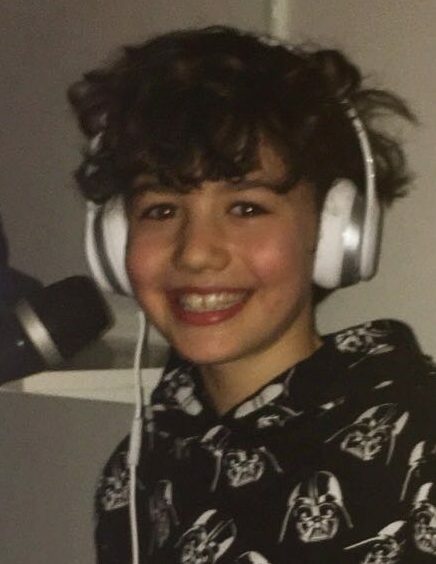 I thought it would be a one-off so in the run up to my barmitzvah I practiced and rehearsed with the group but before I knew it (and before my barmitzvah) George told me that I had become a very good singer and he invited me to join the group! I performed with them at a couple of events in October and November 2013 so when it finally came to my party in January 2014 and I sung with them, I was already one of them! I really enjoyed it. It means a lot to me to be a part of The 4 Sons as it’s not just good fun singing together but we’re also raising money for charities that are very important to me. 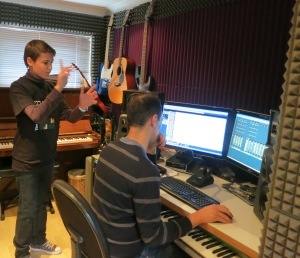 After Rafi’s voice started breaking, he took up beat boxing and has now added a totally new dimension to the range of music we can perform on Shabbat. Thank you, Rafi, your range of talents is invaluable to us! 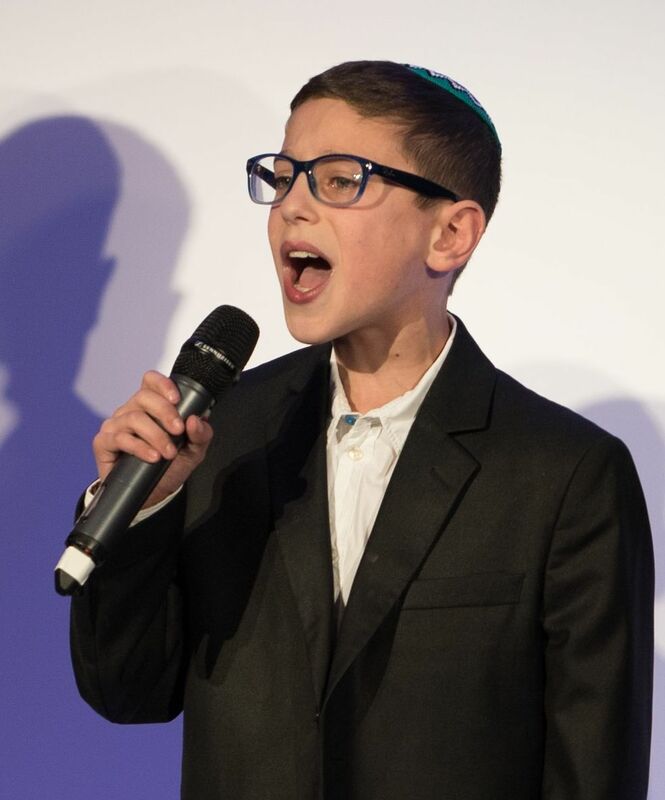 Noam was really happy to join the choir at the time of George’s Barmitzvah – it boosted his confidence and helped him overcome severe stage-fright! His three favourite songs on the CD are Ivdu, Hamalach Hagoel and Esa Einai because they are slow and calming and a really good way to end the day. Although Noam left The 4 Sons in 2013, he joined back with us and has been an integral part of the Kol Tov line up since 2018. Gideon started singing with The 4 Sons early in 2016. He has committed his time and energy to help us continue to raise more money for such worthy causes and his voice has undeniably been a remarkable asset to our group. He is one of the reasons we relaunched as Kol Tov – as he increased our number from 4 to 5! We were very happy to welcome Dov Forman to the group late in 2014. 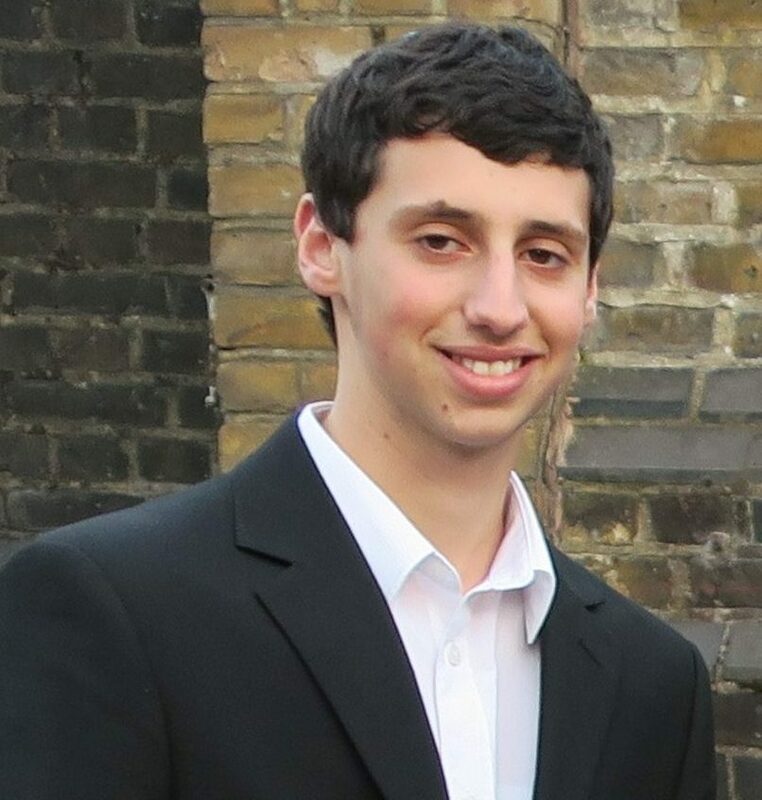 He quickly became an integral and crucial member of The 4 Sons until 2018, not only because of his unbroken voice but his excellent sales skills were instrumental in enabling us to raise crucial funds for Wateraid, Chai CancerCare and Emunah. Shimon has supported The 4 Sons on Purim since 2016 and is a star performer in our 2017 Purim Thrills video as, among other roles, Queen Esther! He is looking forward to Purim Spieling and performing with us again, as an occasional part of Kol Tov. 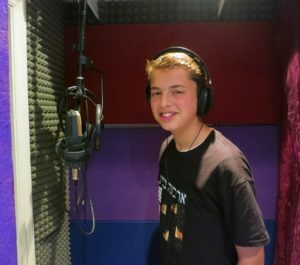 When we recorded the CD, Jamie was the youngest of The 4 Sons. Prior to that he often used to sing alone and, with Jeremy’s guidance, he began to see how combining his voice with those of the other three sons could produce a very beautiful sound. Being part of the group singing together in harmony was a very special experience, he said. Jamie stopped singing with The 4 Sons in 2013.
and being the inspiration behind The 4 Sons.